Removing Trade Barriers amongst Countries in West Africa was the theme for the Achievers Awards, organised by The West African Regional Magazine. 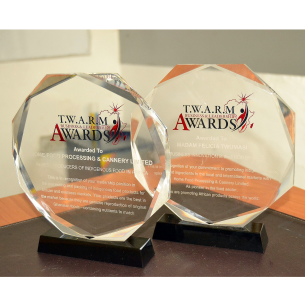 The awards were in recognition of our leadership position in the processing and packing of indigenous food products for the African and overseas markets. Our products are the best in the market because they are genuine reproduction of original Ghanaian foods which contains nutrients to match. As pioneer in the food sector,we are promoting African products ,foods, spices and ingredients to the local and international markets and across the world.